The 2018 Acura RDX is one of Acuras newest Luxury comfort SUV releases for the year. On the new RDX front wheel drive is standard and All wheel drive is optional. Both power trains come with an automatic transmission with paddle sifters. Fuel efficiency is great and the safety features include forward collision warning and adaptive cruise control. It is available in a Base model, Well-equipped, and Fully loaded model. Some of the standard features on the new luxury SUV include: automatic LED headlights, 18 inch wheels, rear view camera, power lift gate, 6 different colors to choose from there are plenty of extras available with upgrades such as an additional color which is fathom pearl blue, different rim combinations such as the diamond cut alloy rims, a bike rack, back up sensors, chrome door trim, LED fog lights, roof rails, running boards and many more. The interior of this new luxury SUV consist of comfort and modern design. The Base model for the 2018 Acura RDX has a dial controlled center stack and conventional sound system controls. The interior has plenty of space and gives rear passengers plenty of leg room to work with. The seats of course are leather seats which come in 3 colors, Ebony, and Parchment. The third color is only available with the upgrade and that color is gray stone. The storage area is just about the same as Similar SUVS with the difference of with the rear seats being lowered, it offers 61 cubic feet of space. 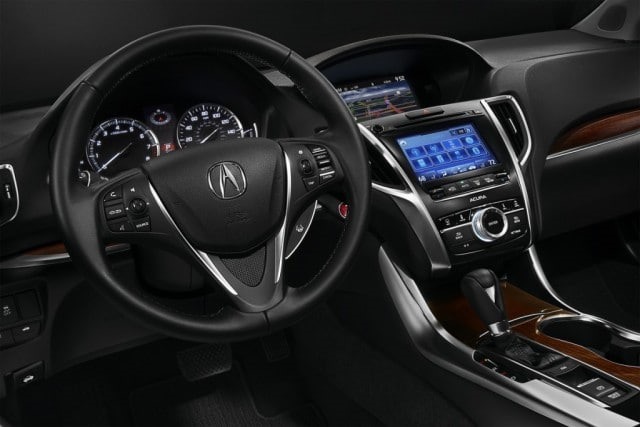 There are two main interior upgrades that can be combined or ordered separate which are: new Acura RDX Technology Package which include: Sport Seats, On Demand Multi Use Display, Acura Navy System With 3D view, Rear Cross Traffic Monitor, Blind Spot Information System and much more. The Acura RDX 2018 Advanced Package which include: Heated and Ventilated Seats, Remote Engine Start, Rain Sensing Windshield Wipers, Front and Rear Parking Sensors, Auto Dimming Side Mirrors. 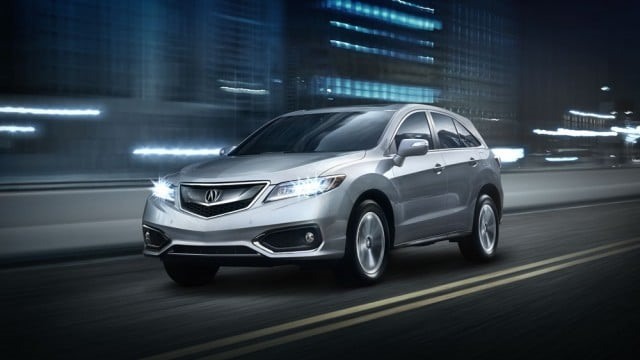 The new Acura RDX comes equipped with a 3.5-liter V6 engine which generates 279 hp. Also a 6 speed transmission that comes front wheel drive standard and all wheel is optional. The mpg is a combined 23 mpg for front wheel drive and a combined 22 mpg for all wheel. With Front wheel drive it gets 20 mpg in the city and 28 mpg on the highway. All wheel drive gets 19 mpg in the city and 27 mpg on the highway. Accelerating testing has the RDX going from 0 to 60 in 6.5 seconds which makes it one of the fastest SUVS in it’s class. The new Acura RDX is priced as follows; Base Model: $38,145 MSRP – Technology Model: $41,845 MSRP – Well Equipped Model: $44,795. 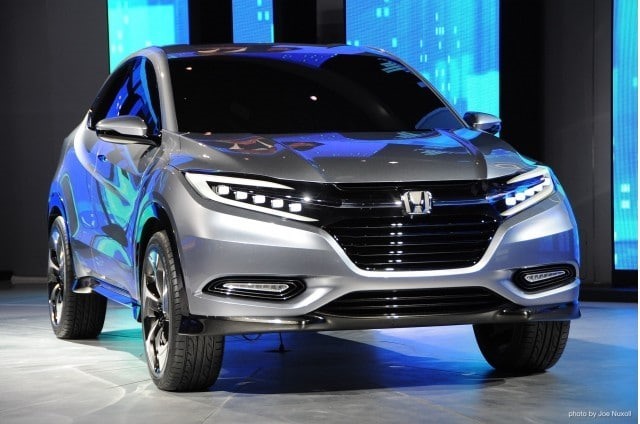 The 2018 Acura RDX is expected to be released late 2017 or early 2018. The 2018 Acura RDX safety the RDX is rated 5 stars for safety and the standard version includes anti lock air brakes, stability and traction control, front, side, and curtain airbags along with the rear view camera. With the upgrade you get forward warning collision, automatic braking with the forward collision warning, blind spot detection, lane departure warning, as well as lane departure intervention. The 2018 Acura RDX Wrap up the new Acura RDX will be something to be praised and sought after. With it’s strong engine, sleek new design and high performance it holds it’s merit against it’s rivals.